Suspend umbrellas to create a canopy during the day and add string lights to turn it into an enchanting decoration at night! See more photos from this wedding on the source. See this idea with a variety of colored umbrellas. 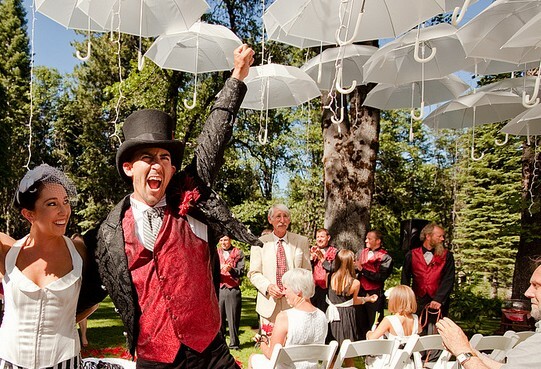 See this idea with the umbrella adorned with ribbons that have sparkling raindrop cutouts attached.